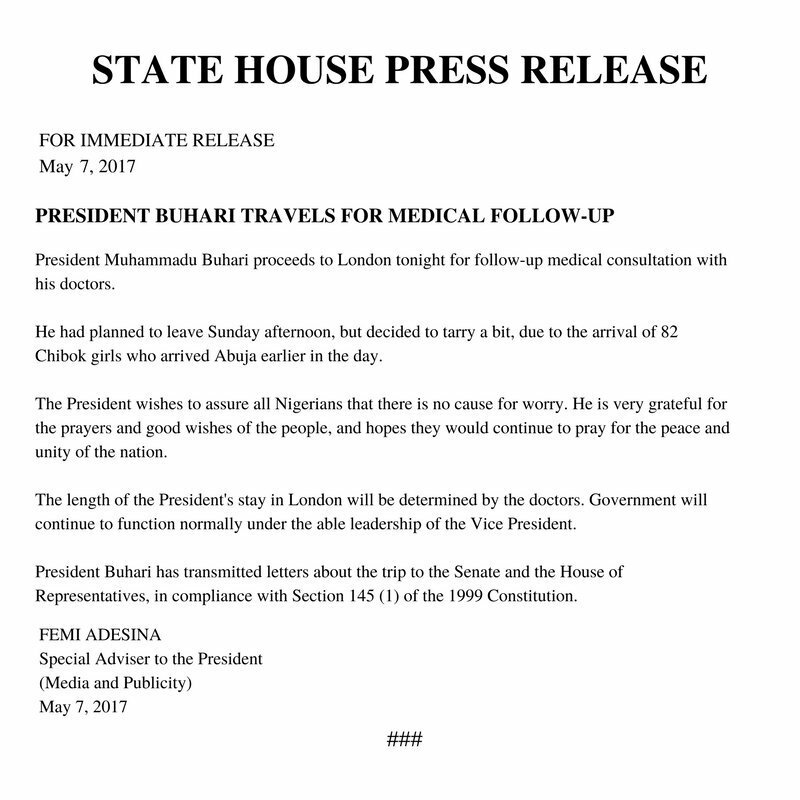 President Buhari proceeds on indefinite medical trip to London.. Wife of the president Aisha Buhari had earlier said his health wasnt so bad,well maybe not as bad as being perceived she said. 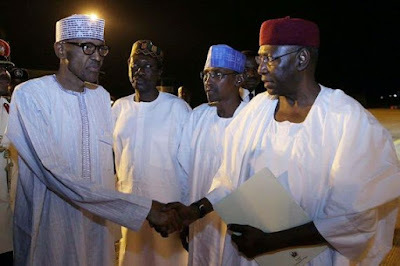 But in a statement also sent via twitter Buhari's special adviser has revealed that the president would now proceed on a medical trip abroad only to return when his doctors say so. How will healthcare be fixed when the president jets out at will whenever he wants to? !